Sourcing Taiwan has always been one of TAITRA’s key activities. 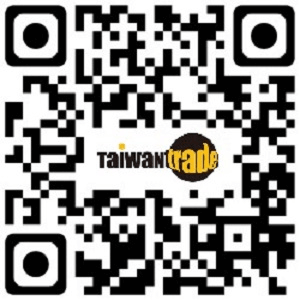 The main purpose of Sourcing Taiwan is to serve as a trade link between global buyers and top-rated Taiwanese suppliers. For the first time this year, it has been divided into two parts – with part 1 held in the first half of 2018, and part 2 to be held in the latter half of the year, at the Kaohsiung Exhibition Hall. Sourcing Taiwan took place on March 22, 2018 at the Taipei Nangang Exhibition Hal, with great success. A total of 202 buyers from 53 countries joined the event in Taiwan, negotiating deals during 2,110 sessions with 827 suppliers. According to buyer questionnaires, buyers found an average of 5.5 potential suppliers with a satisfaction rate of 95.9%. VESTEL ELEKTRONIK, Turkey&apos;s second largest power plant said, "Taiwan&apos;s Fortune Electric (AC / DC) charging pile and Axiomtek’s motherboard and touch panel provide wonderful opportunities for cooperation". Sourcing Taiwan (Kaohsiung) will focus on industries that have important industrial clusters in southern Taiwan. Invitees will include 300 international buyers from a range of industries - including machinery, fasteners, steel, auto parts, yacht & boat, plastic & rubber, waste processing & green energy, and the biotech & medical industries. TAITRA will also host the first Diplomatic Partners Business Day, on November 8, 2018. This event aims to assist sellers from diplomatic countries to expanding operations into Taiwan’s market. 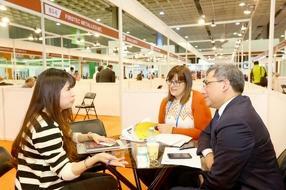 This event will enable sellers to have one-on-one meetings with their counterparts in Taiwan. In addition, TAITRA will organize visits to three industrial clusters, namely fasteners, green energy and auto parts, and will plan customized business activities according to buyers’ needs. This event promises to provide more opportunities for buyers worldwide to source, purchase and do business with Taiwan. For more information please see the Sourcing Taiwan website: www.sourcingtaiwan.com.